In his opening remarks, Mark Camilleri, EASO Policy and Interinstitutional Relations Coordinator stated that following several requests by representatives of civil society, EASO decided to hold the meeting in Brussels this year. Even though the two way dialogue with the civil society is a constant process promoted by EASO alongside its activities during the whole year, the aim of a plenary session is to bring together the EASO Consultative Forum members to look at the experience of the past year of working together, identify lessons learned and earmark areas of future cooperation. He added that over 100 participants registered for this year's meeting representing around 60 different organisations. Besides the usual focused discussions on the involvement of civil society in the different areas of EASO’s work, this year’s meeting included a full day thematic conference with over 20 speakers focusing on contingency planning, Member State responses to the flow of Eritrean asylum seekers, different protection statuses granted to Syrian applicants and the use of Article 15 of the Qualification Directive (on qualification for subsidiary protection). Timothy Cooper, Head of the EASO Centre for Information, Documentation and Analysis (CIDA), provided information on the latest trends of applicants for international protection, including figures on the top countries of origin, the distribution of applicants among the EU+ countries, the recognition rates and relevant statistics on unaccompanied minors and pending cases. Click here for concept paper, lead off presentation and report. The discussion was moderated by Mr. Laurent Muschel, Director Asylum and Migration, DG Home. Speakers were Ms Elizabeth Collett, Director of MPI Europe, Mr. Tomasz Dzięcioł, Chief Specialist, Office for Foreigners, Poland and Mr. Christer Zettergren, Swedish Migration Board. A lead off presentation was delivered by Mr. David Dowey, EASO Senior Data and Analysis Coordinator. The panel focused on how early warning systems have helped Member States to be better prepared for influxes of persons seeking international protection and how EU and MS-level planning and cooperation has helped strengthen Member States response to such situations. The discussion was moderated by Francesco Maiani, Associate Professor, IDHEAP. Speakers were Ms. Eva Singer, Danish Refugee Council, Mr. Mohammed Fitwi, Norwegian Organisation for Asylum Seekers, and Mr. Paulus Bouma, Immigration and Naturalisation Service, The Netherlands. A lead off presentation was delivered by Mr. Ward Lutin, EASO Documentation and COI Officer. The panel explored how the EU and Member States have responded to the influx of Eritrean asylum seekers from an operational point of view, in particular the destination States. EASO presented an overview on applicants and protection rates in the EU + and the outcomes of its recent practical cooperation meeting on Eritrea. The discussion was moderated by Doris Peschke, Churches' Commission for Migrants in Europe. Speakers were Ms. Nele Allenberg, Evangelical Church in Germany, Mr. Michael Williams, FARR Swedish Network of Refugee Support Groups, Ms. Blanche Tax, UNHCR Geneva and Ursula Countess Praschma, Bundesamt für Migration und Flüchtlinge, Germany. A lead off presentation was delivered by Ms. Jadwiga Maczynska, EASO Information and Analysis Coordinator. The panel analysed the similarities and differences in the type of protection granted to Syrian applicants and the application of the relevant EU legal concepts in such cases. In September 2014, Syrians were by far the largest group and during this period almost one out of four applicants in the EU + was Syrian. 20 EU + States had Syria as one of the top three countries of origin. While the majority of the EU + States issue a high protection rate to Syrian applicants, some States stand out with significantly lower rates. Moreover, where granted, the type of protection differs substantially. While some EU + States grant refugee status, other grant subsidiary protection or even humanitarian protection. The discussion was moderated by Judge Bernard Dawson, Upper Tribunal, Immigration and Asylum Chamber, UK. Speakers were Achilles Skordas, Professor at University of Bristol, UK and Laurent Aldenhoff, European Council on Refugees and Exiles. A lead off presentation was delivered by Mr. Jamil Addou, EASO Training, Quality and Expertise Officer. The panel discussed Member State’s existing practices in applying Article 15 of the Qualification Directive (with a particular emphasis on the notion of ’serious harm’) with regard to specific groups of applicants for international protection. Challenges in establishing country of origin information and in practical interpretation of legal notions regarding different forms of international protection were examined. The panel furthermore explored practical measures to stimulate convergence and harmonisation of practices, through efforts such as EASO’s COI and practical cooperation activities, on Afghanistan and other relevant countries of origin and guidance and tools on Article 15C. MEP Ferrara highlighted how the role played by civil society is instrumental and complementary to the work of EASO. Civil society organizations represent an essential tool to complete the information received from Member States authorities and to capture in due time any alerts of malfunctioning of system or exemplary good practices. Therefore, the timely dialogue between EASO and civil society was recognized of outmost importance. The coherent implementation of the CEAS will enable to improve the EU system globally, but it requires reaching common standards in different Member States and building trust. This goal can only be reached through a multi-actor framework, where civil society, state authorities and EASO work together. References were made to the important tasks of EASO to provide statistical data to the co-legislators, to support the implementation of art.33 of the Dublin Regulation in regards to early warning and preparedness and to develop further ways to support Member States under particular pressure. The EASO Executive Director provided a thorough analysis of the achievements and of the way forward for EASO’s cooperation with civil society. Some remarkable results were highlighted, including the around 100 contributions received in 2014 by over 70 organizations, the establishment of three focused consultation channels, the input of civil society to the 2013 EASO Annual Report on the Situation of Asylum in the EU and its public launch in Brussels, and the different channels developed by EASO in order to promote a wider dissemination of information (i.e. newsletter, improved interactive webpage, participation of civil society representatives to meeting and workshops). The EASO Executive Director presented the main actions foreseen for 2015 to strengthen EASO’s engagement with civil society: involve civil society and academia to further develop common COI and grant public access to the COI Portal; engage civil society in EASO’s work as ‘clearing house’ on resettlement; organize focused meetings with national and local NGOs in the countries where EASO is offering operational support; visit a number of consultative forum members on the job; explore additional ways for civil society to provide inputs to EASO Early warning and Preparedness System (EPS) and the EASO Information and Documentation System. Click here for concept paper and report. The session was facilitated by Stephanie Huber Asylum Research Consultancy and Ward Lutin EASO Documentation and COI Officer. Following the recent EASO COI Publications on Somalia and Chechnya, and in light of the ongoing production of a COI report on the security situation in Afghanistan and a Guide on COI and LGBTI, this session aimed to provide some insight into the EASO COI production processes and inform civil society about some new developments with regard to sharing and producing EU-level COI. It also aimed at identifying and discussing possible input from different stakeholders on the production of COI by EASO. During the discussion, participants exchanged views on the role and added value of COI reports. Diverging opinions were voiced on whether COI reports should contain analysis and whether or not they should be policy-oriented. The need for balanced sources was stressed. At the end of the session, EASO briefly referred to the recently adopted proposal to make the European COI Portal publicly available. The session was facilitated by Eva Singer Danish Refugee Council and Anca Pristavu EASO Operational Support Officer. Participants exchanged views on tools used in emergency and tailor made support provided by EASO to requesting Member States and the impact that these had on the asylum and reception systems of those Member States. The possible contribution of civil society in this context was discussed. It was agreed that a cooperation platform be set up and a methodology drafted in order for civil society representatives to be part of an EASO operational support area. Click here for concept paper, presentation and report. The session was facilitated by Wilfried Buchhorn Head of UNHCR Liaison Office to EASO and Jamil Addou EASO Training, Quality and Expertise Officer. Participants were introduced to the EASO quality processes, the method used, outcomes and tools developed. The discussion focussed on the progress made so far and on possible ways in which civil society could contribute to the Quality Matrix process. EASO underscored that the Quality tools are meant to contribute to better efficiency in the daily work of case officers. In order to foster the involvement of civil society in the development of Quality Tools, EASO was invited to publicise its plans. It was also noted that civil society has a role to play at the national level to cooperate with national authorities in providing external feedback on the implementation of quality standards. The session was facilitated by Kris Pollet, ECRE and Jadwiga Maczynska EASO Information and Analysis Coordinator. Ms. Maczynska outlined the development of EASO’s Information and Documentation System (IDS) as a key tool in understanding how the Common European Asylum System (CEAS) functions. 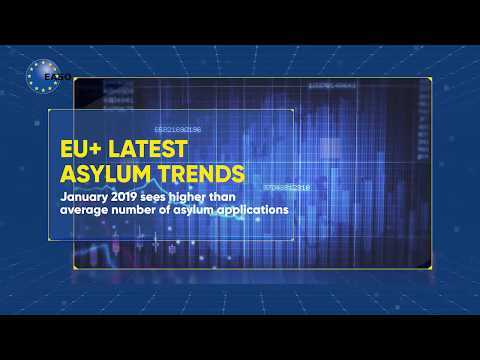 EASO demonstrated how IDS could be used to source key information on asylum processes across EU+ countries, while Kris Pollet provided an interesting overview on ECRE’s Asylum Information Database (AIDA) project. Key points included the challenge of keeping IDS accurate and up to date, making it a tool that adds value rather than replicates information stored elsewhere, and ensuring it becomes an important reference point at EU+ level.